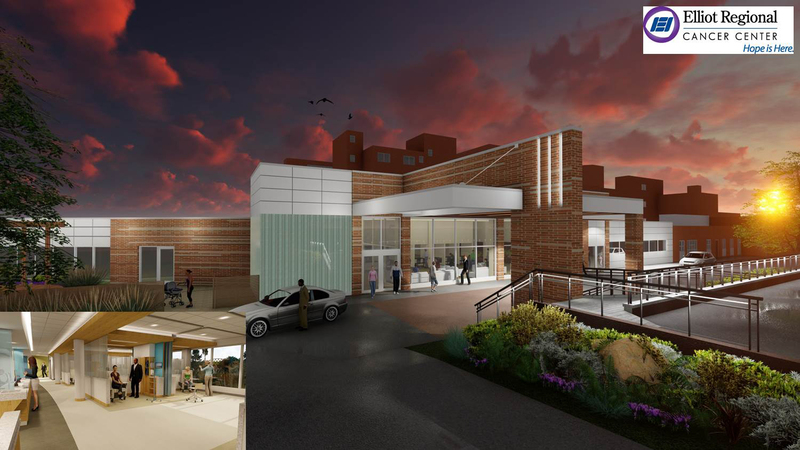 Elliot Health System is expanding our cancer program and consolidating treatments and services into a single convenient location by constructing a $29M Cancer Center, with a new parking structure, on the Elliot Hospital campus in Manchester. This exciting project has literally been on the drawing boards, and our clinical wish list, for decades. In order to bring the new Cancer Center to fruition, the Mary & John Elliot Charitable Foundation is undertaking the largest capital campaign in Elliot’s history. The “quiet phase” of this capital campaign has commenced, with great interest and some early success, but we have a long way to our campaign goal. Read more about the exciting project and the capital campaign here. Corporate sponsorships of the Golf Classic and Gala and our other events will also support this important project, as will annual gifts to the iGive annual campaign as this Cancer Center is our current greatest need. Please give generously so we can improve upon and expand the cancer care services and treatments offered locally. For more information about the capital campaign and/or naming opportunities within the new Elliot Regional Cancer Center, or to discuss a possible multi-year pledge to the campaign, contact the campaign office at 603-663-2834 or by email at foundation@elliothospital.org. To make an immediate gift to help build the new Elliot Regional Cancer Center, click here.